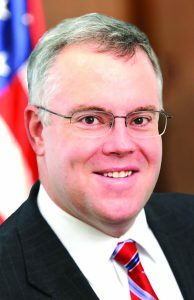 Assemblyman Dan Stec represents Warren County and parts of Washington County. With the 2018 Legislative Session upon us, I expect to see a continuation of many of the issues we faced last year such as ethics, infrastructure needs, education funding, opioid crisis along with addressing environmental concerns such as invasive species. In November, the voters in New York approved the Pension Forfeiture Amendment authorizing judges to reduce or revoke the pension of a public officer convicted of a felony related to his or her official duties. This was long overdue and the citizens of New York deserve leadership which is transparent and honest. There must be zero tolerance for corruption and we need to continue to hold our elected officials to the highest of standards. As we begin 2018 with a $ 4.4 billion budget deficit, we must look at ways to cut spending and reduce the burden of unfunded mandates that are driving up our property taxes. New York state is one of a handful of states that passes along Medicaid costs to the local municipalities.